As you may know, I’ve been teaching an Arts Entrepreneurship class at Hussian School of Art in Philadelphia. And starting next semester, I’m very excited to announce that I’ll be teaching a class in Sequential Arts / Comics! If you’re doing college planning, Hussian is offering an Open House this Saturday (10-2) and I’ll be there to answer any questions you might have — about the school or about my involvement in the curriculum. I’ve done these Open House days in the past, and it’s an excellent opportunity to sit down and get a great deal of important information in a relax, unrushed setting. 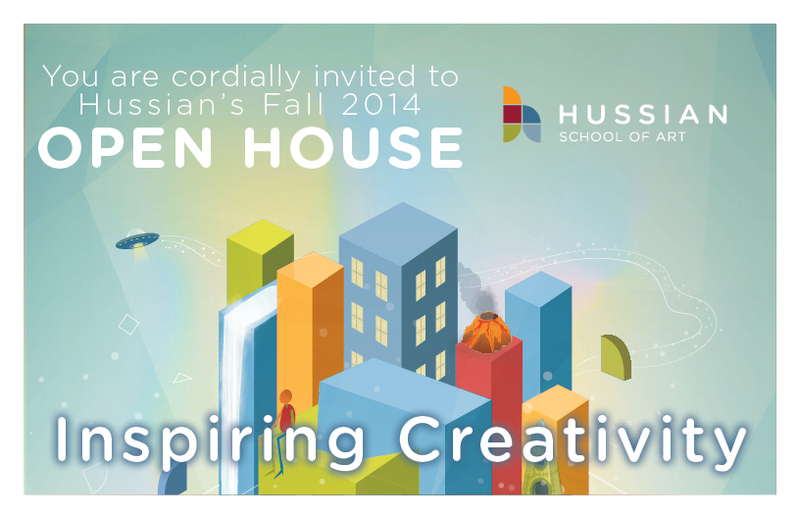 Hussian offers BFA degrees in Graphic Design, Visual Communication and Digital Media. The instructors are tremendous, and the tuition is reasonable (particularly compared to other art schools). I’ve become quite a fan of Hussian. If you have any questions and you can’t show up on Saturday, feel free to get in touch. I’ll be happy to extend any information I can.